Italy is one of the most popular vacation countries in Europe as all seasons are good for a visit. Experience the world together when travelling as a family. Connect with nature with wildlife encounters, spectacular scenery, cultural experiences and a slower pace of life. Experience a throwback to the golden age of cruising when you step onboard the Cunard Transatlantic. The world's only true ocean liner is stronger, sleeker, smoother and swifter than any other cruise ship. 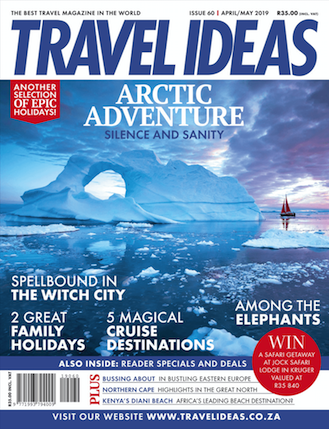 Our April / May issue is officially out and features a range of exciting travel destinations, adventures, competitions as well as travel packages. Whether you’re looking for excitement on the eastern Europe hop-on hop-off buss or a ski resort in the north of France, our latest edition is filled with affordable travel escapes to inspire and help you plan your travels for 2019. Sign up to receive new travel experience ideas, exclusive offers and travel competitions!